The 2016 Tribeca Film Festival, now in its 15th year, featured a wide array of films on architecture, art, and design, many soon coming to a screen near you. They range from profiles of artists Maurizio Cattelan, Elizabeth Murray, and Chris Burden to feature films that use architecture in unexpected ways: a futurist feature film called Equals showcases buildings by Tadao Ando, High-Rise is set in a Brutalist apartment block modeled on Erno Goldfinger’s Trellick Tower in London, and Tom Hanks starrer A Hologram for the King is sited in new, incongruous modern economic incubator structures in a remote desert locale. 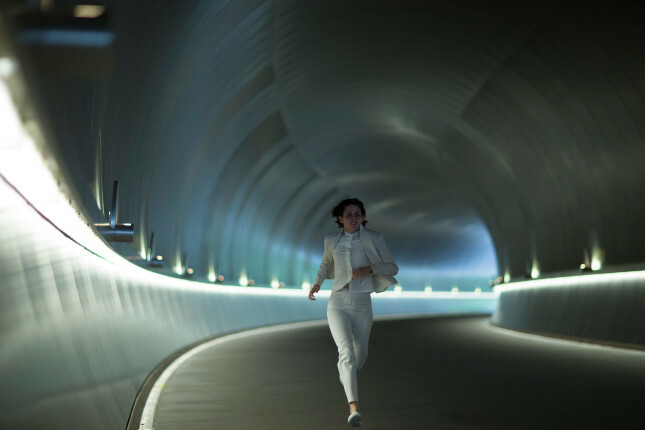 Equals, starring Kristen Stewart, portrays the ATMOS collective, a seeming utopia. To create a zen atmosphere that keeps workers calms and productive, the filmmakers chose locations in Japan and Singapore featuring elegant minimalism and lush surroundings that evoke a reborn world. 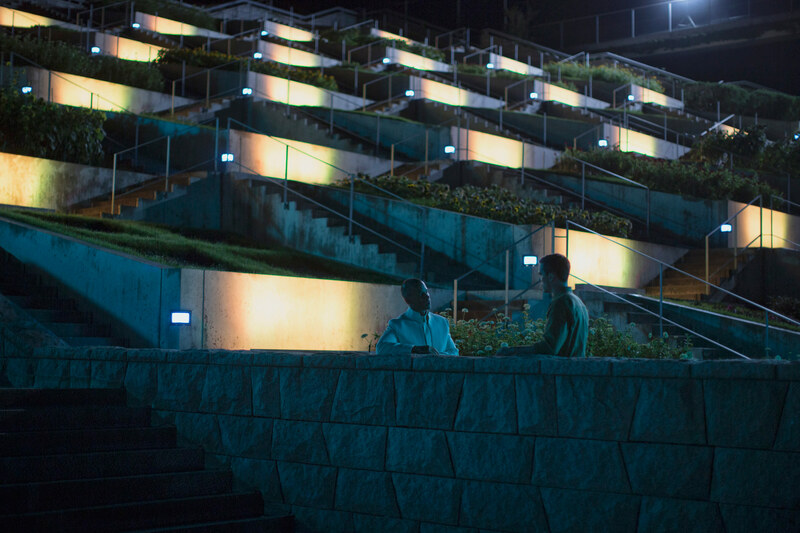 Director Drake Doremus asked “If we could start over and do things right this time, what sort of aesthetic would we create?” They chose the Awaji Yumebutai Conference Center on Awaji Island near Osaka, designed by Tadao Ando, which features the poetic use of concrete; the Sayamaike Museum, also near Osaska and by Ando, where water interacts with light; and Nagaoka University of Technology. In Singapore, the floorplans of Daniel Libeskind’s Reflections Tower apartments were recreated on a soundstage. (Production designer Tino Schaedler trained as an architect and worked for Libeskind). Equals opens with Nicholas Hoult’s character in bed in his spartan, all-white apartment with panoramic views. He emerges, slides the sleeping unit into the wall which vanishes from view. With the push of a button, the kitchen pod slides out. When he gets dressed in the ATMOS collective’s standard cream-colored uniform, the closet pod rolls out. It’s a rational, sleek solution, like living on a ship. However, this is a world where physical contact and emotional bonds are forbidden, and those who have impulses are diagnosed as diseased. Once again, modern architecture symbolizes evil in film. A rather different, futuristic vision is depicted in A Hologram for the King. Based on Dave Eggers’s book, Tom Hanks’s character Alan Clay, in financial distress after the Great Recession of 2008, goes to Saudi Arabia to sell a holographic teleconferencing system to the king. Taking hours-long daily drives from Jeddah to the surreal ghost town KAEC or “King Abdullah’s Economic City” (dubbed “King’s Metropolis of Economy and Trade” in the film), we see vacant skyscrapers and half-completed construction projects. Denied permission to shoot in Saudi Arabia, the filmmakers shot in Morocco where they created this new city from scratch, and exaggerated all the elements for effect. Director Tom Tykwer said, “The real place has a handful of big buildings and connecting streets, so we down-scaled that into this absurd kind of roundabout street system that circles about itself.” It is what an aspirational culture deems a prosperous, modern city. What was considered futuristic when J.G. Ballard wrote High-Rise in 1975 was the recently completed brutalist Trellick Tower by Erno Goldfinger, although rather than its true location in West London, the fictional high-rise is located at One Canada Square in Canary Wharf, Docklands. Forming the basis for the film, Ballard’s high-rise seemingly offers all the conveniences of modern life in one structure—swimming pool, school, supermarket, high-speed elevators—but the isolated world has its own social order that quickly degenerates. As power fails, amenities are unequally distributed with the poorer lower-floor dwellers losing out to the richer residents above, culminating in the top floor penthouse with vast private gardens occupied by the building’s architect, played by Jeremy Irons. Bedlam ensues. Shot in Belfast, Northern Ireland, key locations are the Bangor Leisure Centre designed by Hugo Simpson in 1970, the Old Stena Terminal on Ballast Quay whose foyer was inspired by Corbusier, the Ashby Building at Queen’s University and Kilroot Business Park. In another social experiment, graphic designer Stegan Sagmeister turns himself into a design project in The Happy Film. His exhibition Six Things at the Jewish Museum in 2013, originating as The Happy Show at the ICA Philadelphia, began the process. 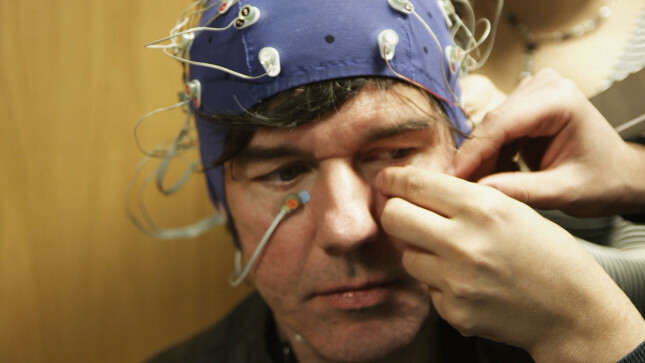 Sagmeister tries to achieve greater happiness by redesigning his personality through three controlled experiments: meditation, therapy, and drugs. The journey exposes deeply personal, raw emotions and realities with failed relationships amid professional successes. 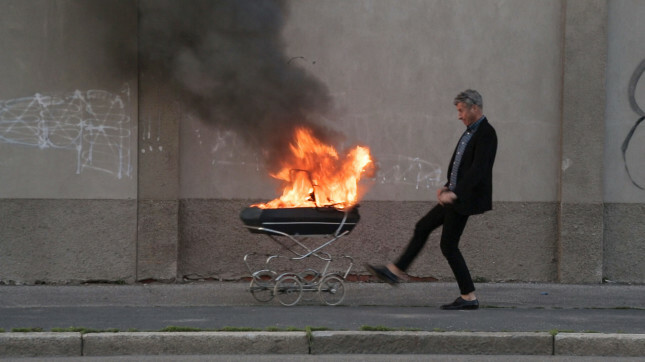 The opposite is true of the elusive protagonist of Maurizio Cattelan: Be Right Back. The “Cattelan” who is interviewed is actually a stand-in, Artistic Director of the New Museum, Massimiliano Gioni, in a ruse that is in keeping with Cattelan’s prankish artworks. If you saw his 2011-12 exhibition at the Guggenheim, Maurizio Cattelan: All where his entire output was suspended in the rotunda, and he declared his retirement from art—revoked by his recently announced 18K gold fully functional toilet at the museum titled Maurizio Cattelan: America (and Enter at Your Own Risk—Do Not Touch, Do Not Feed, No Smoking, No Photographs, No Dogs, Thank You, 1994/2016 with its live donkey at this year’s Frieze)—you will recognize this subversive artist. 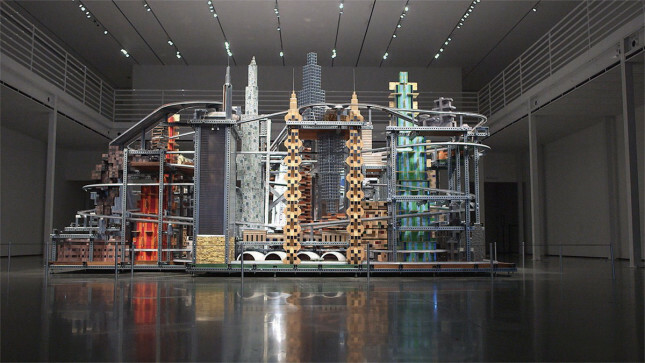 Chris Burden, in an interview before his death in 2015 in Burden, helps illuminate this art maverick, probably best known for Shoot (1971), a performance where a bullet penetrated his arm, and led to his reputation as the “Evel Knievel of the art world.” He moved from 2-D to 3-D to performance art, seeing that motion could push the art forward. The film’s focus is primarily on his 1970s output, with a coda to his last pieces, Urban Light (2008) street lamps permanently installed outside LACMA, and Ode to Santos Dumont his lyrical last work honoring an early aviator that gently flies inside the gallery. 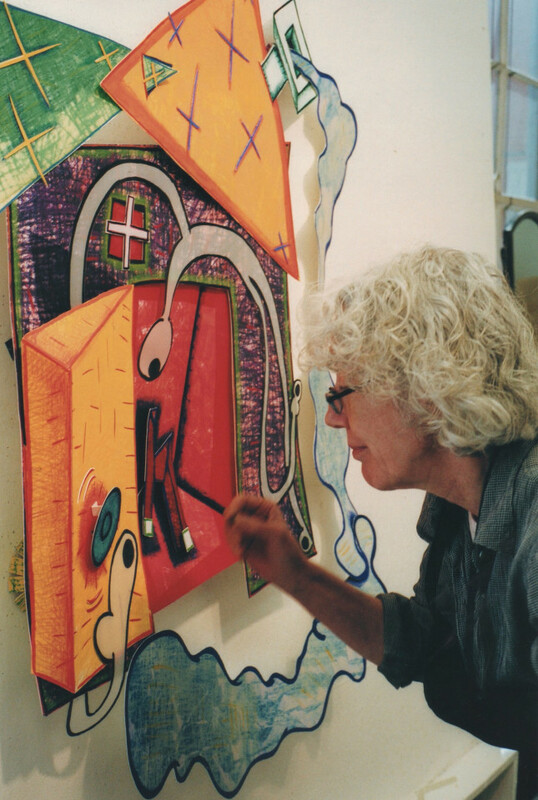 Another artist is interviewed in her final days in Everybody Knows…Elizabeth Murray, where the fallout from her cancer is on full display, as she works towards a retrospective at MoMA. Her diary entries are read by Meryl Streep. Other documentaries included The Banksy Job about art terrorist Andy Link or AK47 of “Art Kieda” who steals graffiti artist Banksy’s sculpture The Drinker, a parody of Rodin’s The Thinker; Reset on the making Benjamin Millepied’s dance Clear, Loud, Bright, Forward with music by Nico Muhly, for the Paris Opera Ballet just before his sudden departure as Director of Dance; Strike a Pose on the mostly gay dancers in Madonna’s Truth or Dare tour during the height of the AIDS epidemic; Taylor and Ultra on the ‘60s, The Factory and Being a Warhol Superstar featuring Taylor Mead and Ultra Violet just before their deaths; and Artists of Skid Row on an L.A. artist who paints the future he hopes for.